For most, this 18-song disc can easily be considered a Definitive Collection. 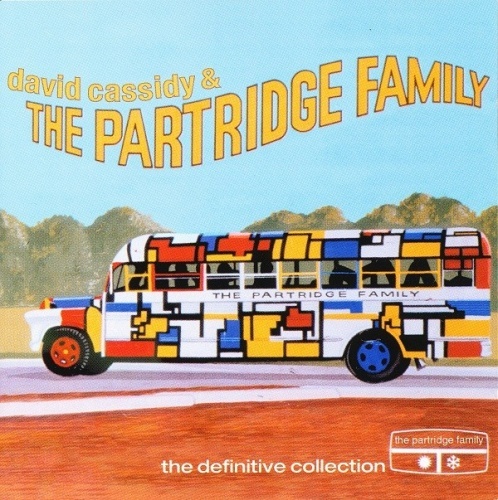 It exceeds the only other notable Partridge Family Greatest Hits CD (1989) by over half-a-dozen tracks, and also contains a few of David Cassidy's top solo sides as well. Copping pages from both the Monkees' manufactured-for-TV songs, and the real-life pop/rock family, the Cowsills, the Partridge Family was a weekly prime time sitcom that ran on ABC-TV from September 25, 1970 through August 31, 1974. Further mimicking the Monkees phenomenon, primary cast members -- in this case, Shirley Jones (vocals) and David Cassidy (vocals) -- also served double duty as the Partridge Family's lead vocalists. In all, between the years 1970 and 1974, eight long-players were issued by the "Family," while Cassidy himself released an additional four solo efforts. The multimedia campaign ultimately yielded a consistently high-rated television program, as well as no less than nine Top 40 albums, and 11 Top 40 singles. Accompanying Cassidy and Jones were a veritable who's who of studio heavyweights such as Hal Blaine (drums), Larry Carlton (guitar), Joe Osborne (bass), and Larry Knechtel (keyboards). They were joined by the painfully sweet backing vocals of the six-member Love Generation, who participated to some degree on every one of the Partridge Family's LPs. All the chart hits are here: "I Think I Love You," "I Woke Up in Love This Morning," "I'll Meet You Halfway," "Doesn't Somebody Want to Be Wanted," "It's One of Those Nights (Yes Love)," "Breaking Up Is Hard to Do," and "Looking Through the Eyes of Love." Also included are Cassidy's key solo sides "Cherish," "Could It Be Forever," "How Can I Be Sure," and "Rock Me Baby." A glance at the remaining tune stack reveals a healthy sampling of other key cuts -- including a few Cassidy solo sides that mark their digital debut. While earnest enthusiasts will probably choose to locate the individual reissues, for all non-completists and otherwise average fans, this Definitive Collection lives up to its name.